Free shipping - Cut each slice with a single pass - and keep all the flavourful juices in the meat rather than swimming on the plate. Perfect for the larger cuts of meat, fruit and vegetable. Cut each slice with a single pass - and keep all the flavourful juices in the meat rather than swimming on the plate. Perfect for the larger cuts of meat, fruit and vegetable. 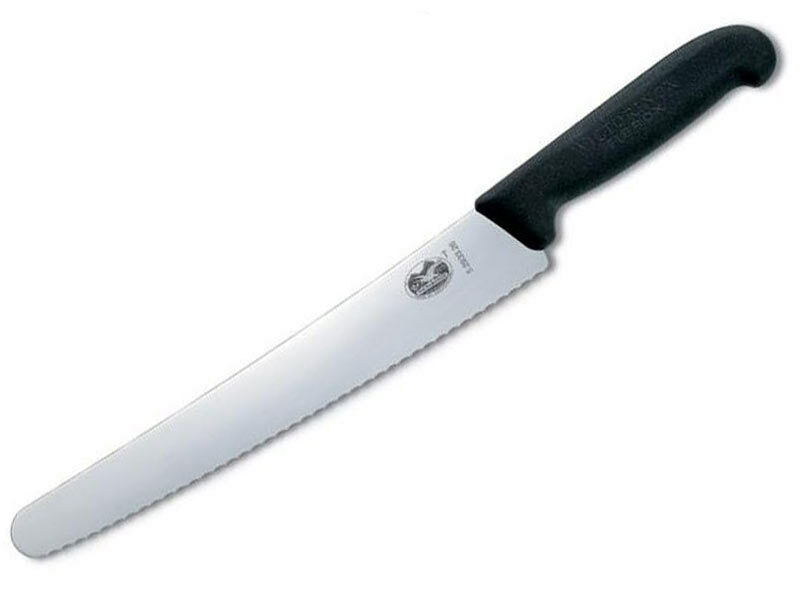 The Victorinox StandardLine range of household knives, features black polypropylene dishwasher safe handles, which rest comfortably in the hand. Victorinox is famous for it's high-carbon stainless steel blades, which hold exceptionally good edges and can be easily resharpened.